Here's my inside preview of MarTech San Francisco! 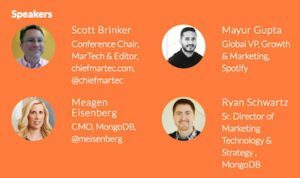 We’re only 7 weeks away from the MarTech conference in San Francisco, May 9-11. This will be the biggest and best one yet, with 70+ sessions, 100+ speakers, 100+ exhibitors and sponsors, and 2,500+ marketing and marketing technology leaders gathering together to meet, learn, and be inspired by each other. If you’re working the intersection of marketing, technology, and management, this event has been lovingly hand-crafted for you — and I’m eager to give you a glimpse of what to expect. ut first, a quick alert: the discounted beta rate for tickets expires on April 1. (No, we’re not fooling.) So, if you want to guarantee a spot at a great price, I encourage you to register before that deadline. On the evening of May 9, we’ll kick off with a celebration of the winners of The Stackies & Hackies Awards. Unlike typical industry “awards,” which often are nice for the winners but not very helpful for anyone else, these contests both focus on promoting the sharing of truly valuable insights with the community. Learn how your peers strategically organize their marketing stacks. This is pure marketing operations gold. We’ll look at some of the best examples at the awards ceremony, but you’ll be able to download the entire deck of marketing stack entries — as well download a complete ebook of all the Hackie essays that people sent in, sharing their best “hacks” in marketing technology management. We’ve committed to donating $100 to Girls Who Code for every valid entry submitted to The Stackies & Hackies, up to $10,000, so we’ll see if we hit our goal. By the way, it’s not too late to enter your marketing stack or “hacking marketing” essay if you want to contribute! Follow the instructions here. You’ll also have the opportunity to mingle with over 100 marketing technology vendors and service providers — of course, over complimentary beer, wine, and other beverages. Big thanks to our title sponsors Amplero and Workfront for sponsoring the Stackies & Hackies Awards and opening reception! As the world’s largest independent exhibit of marketing tech companies, I guarantee that you will discover incredible new capabilities that you couldn’t have even imagined were possible. The massive innovation underway in this space will be on full display and will be an eye-opening experience unto itself. You can get an early start on the day by joining us for a sponsored breakfast and presentation on modern project management from Workfront. The food will be available at 7:00am sharp — to the relief of East-coast visitors such as myself — and then Workfront will give a 30-minute talk at 8:15am. The whole conference will then come together for a 90-minute keynote program that will tackle the big, key marketing technology topics that are relevant to everyone working at this interdisciplinary intersection. I’ll start with an update on The State of Marketing Technology 2017: What practices are the leading companies adopting? How is the competitive martech landscape evolving? What emerging technologies are shaping the future of marketing in a “digital everything” world? Mayur Gupta, one of the world’s pioneering chief marketing technologists and now the global VP of marketing and growth at Spotify will then join me on stage to dive into balancing The Art & Science of Marketing. Where exactly are the boundaries between these two seemingly opposed yet thoroughly entangled world views? How is technology shifting the lines between them? And, most importantly, how can marketers and marketing technologists harness the tension of this marketing yin-and-yang to achieve maximum impact on their brands? Finally, superstar CMO Meagen Eisenberg of MongoDB and her senior director of marketing technology and strategy, Ryan Schwartz, will join me for a candid fireside chat on one of the most critical topics in marketing technology management today: The Secrets to a Great Partnership Between a CMO and a Head of Martech. How does CMO-level strategy get mapped into marketing technology capabilities? How are martech capabilities successfully adopted by other teams across tmarketing? How does the discovery of new marketing technologies and tactics influence strategy back up to the C-suite? Designed for senior marketing and technology leaders — VPs and CxOs — who must address the organizational challenges of marketing technology management from the top down, this track will give you an inside view into how executives at some of the world’s top companies are leading in this new kind of marketing environment. How do you take a strategic, portfolio-level view of the complex world of marketing tech? How do you balance scale & innovation to deliver outstanding customer experiences? How do you measure results and understand the return from your martech investments? What skills are needed to be successful with martech, and how do you build an effective team? The next session will be two back-to-back TED-style talks: Turning Your Marketing Team into a Profit Center a case study with Kerem Tomak, chief digital marketing and analytics officer at Sears, and then The 4 Cornerstones to Become a Universal (Marketing) Soldier in 2017 by Paul Gottsegen, chief marketing & strategy officer at Mindtree. Both will address how the role of the marketing leader needs to evolve to achieve the right balance across technology, analytics, and execution. 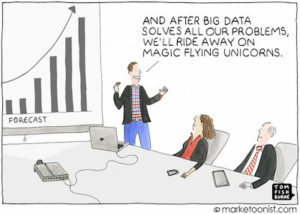 If martech is the engine, data is the fuel — and analytics are the road to insight. And, wow, that’s an overextended metaphor. But this track will take you far beyond the data and analytics platitudes that we’ve all heard before with four advanced sessions, each with two back-to-back TED-style talks. First up will be Matt Marolda, chief analytics officer at Legendary Entertainment — the studio behind blockbuster films such as Godzilla, The Hangover, and Jurassic World — with A Legendary Approach: Disrupting Hollywood with Paradigms and Analytics. He will reveal how they use data and analytics to ensure maximum return on every marketing dollar the studio spends. Learn how they apply analytics to inform decisions like which movies to make, which actors to cast, and when to release the final product — and overcome the operational challenges of connecting disparate data sources in a way that is actionable. Matt’s talk will be paired with a joint presentation, Marketing with Data During the Digital Revolution, by Glenn White, director of marketing infrastructure at Electronic Arts, and Katrin Ribant, chief solutions officer at Dataroma. They’ll explain how EA uses first-party data effectively, diving into data federation and identity mapping challenges. The next pair of TED-style talks will start with How Pandora Leveraged Marketing Analytics to Make Real-Time Decisions that Drive Results with Lisa Sullivan-Cross, VP brand and growth marketing at Pandora, and Mike Driscoll, CEO of Metamarkets. They’ll describe how they applied interactive analytics to turn Pandora’s data into opportunities — a transparent and flexible approach to exploring and visualizing data, allowing marketers to get answers in real time and quickly take action on them. It will be followed by Tales from the Trenches: Data Disasters and How to Avoid Them by Michele Kiss of Analytics Demystified. Her presentation is a tactical exposé of common analytics terrors and how to resolve them, as well as preventative measures and best practices in data governance to keep those disasters at bay. Then Jake DiMare, director of marketing at Digital Clarity, will explain The Meaning and Impact of Emerging Data Protection Regulations. He will focus on the marketing technology stack requirements to be in compliance with the most pressing changes, so you’re armed with practical guidance about regulations already passed in the EU which impact US companies — and ready for similar regulatory efforts in the US. The last double-header in this track will start with The Identity Resolution Imperative: Building the Foundation for Marketing in a Post-Digital World by Joe Stanhope, vice president and principal analyst at Forrester Research. As customer experiences become more complex and span multiple interactions, channels and devices, identity resolution will make or break brands’ ability to harness customer insights and orchestrate marketing programs. Joe will present the current and emerging applications of identity resolution and a framework that brands can follow as they develop their own identity resolution strategies. Don’t get me started on why the false dichotomy between adtech and martech is dysfunctional. In this track, we’ll do a deep dive into the ways in which they’re entangled, especially in the context of social media. We’ll start with a pair of advanced TED-style talks on advertising in social and search channels. First, Amanda Westwood, digital marketing manager at Zendesk and Sahil Jain, CEO of AdStage, will present How to Align Your Marketing Automation with Social Ads. They’ll reveal real use cases examples of how to marry your CRM data (first-party data) with targeted ads to connect with those same people on social platforms like Facebook, Twitter, and LinkedIn — delivering personalized individual-level advertising that can done with existing marketing automation campaigns. They’ll be followed by Pravin Thampi, global product manager of search marketing at Groupon, who will discuss Intelligent Bidding Using Non-SEM Sources. He’ll describe how Groupon created a bid modifier based on data from non-SEM sources (e.g., conversion data from email, display, affiliates, etc.) that improved campaign performance and helped identify high-performing items quickly — even before they demonstrated significant performance in search results. The next set of TED-like talks will focus on account-based marketing (ABM), including how it intersects with paid channels. ABM superstar Sangram Vajre, CMO of Terminus, and Michael Walsh, director of digital marketing at Rosetta Stone, will present Orchestrating an ABM Campaign: People, Process & Tools. Michael will detail how marketing and sales worked to identify a set of existing customers to upsell on their new product, using ABM-oriented adtech to engage those accounts, and achieved a 70% increase in opportunity creation. Then Beth McCullough, director of demand generation at WhiteHat Security, and Erin Peterson, VP of customer success & Salesforce user group leader at Mintigo, will build on that with their talk, Implementing an ABM Strategy. You’ll learn how WhiteHat started by segmenting accounts into tiers, selected and implemented a marketing stack, and augmented it with predictive analytics and data-driven account segmentation. We’ll wrap up this track with two more TED-style talks. Alex Guttler, partner manager at Pinterest will present Pinterest and the Marketing Technology Ecosystem: Connecting the Dots from Inspiration to Purchase. He’ll discuss how Pinterest created a technology partner ecosystem that allows marketers to scale on the platform and how emerging platforms fit into the marketing technology ecosystem. Angela Sigley-Rittgers, the CMO of Sprint Prepaid Brands, and Olly Downs, CEO of Amplero, will present Sprint’s Pre-Paid Digital Transformation: Using Machine Learning & Multi-Armed Bandit Experimentation to Optimize Every Interaction Across the Customer Journey. Modeling success stories and blueprints from martech giants Amazon, Uber, and Netflix, Sprint Prepaid used a hybrid approach, powered by machine learning, that helped them reduce churn and grow overall customer lifetime value. Later in the afternoon, you can catch a double-header set of TED-style talks. First up will be Suzanne Johnson, VP of global marketing of the media division of Akamai Technologies. Akamai has evolved its marketing function over the past year, moving from a sales-driven, event-focused marketing function to a buyer-centric digital environment. Suzanne will describe the journey and share lessons her team has learned along the way. She’ll be followed by Vance Faulks, senior director of digital business services marketing at SAP, and James Regan, CMO of MRP, who will present From Separate Silos to End-to-End Collaborators: How Martech Bridged the Sales-Marketing Gap for SAP. Vance will discuss how SAP strategically leveraged its martech stack to get marketing and sales on the same page. They used predictive analytics to gain a new perspective into buyer activity, and they provided visibility of customer and prospect adoption to the sales teams. The last session in this track will be an amazing deep-dive into How Microsoft is Driving Stronger Customer Experience and Business Results Through a Highly-Scaled Martech Ecosystem and Tight Integration of Marketing to Sales by Todd Wells, VP and general manager of marketing IT, and Payal Gupta Tiwana, director of marketing technology and operations. You’ll get an inside look at how Microsoft transformed their marketing technology capabilities, enabling tracking, targeting, and personalization of content as customers move between multiple product marketing programs, progressing as high quality leads to inside sales, field sales, or partners. In addition, Brightcove and Sitecore will have sponsored lunch presentations that you can attend, so you can absorb new marketing technology ideas even as you eat. Finally, we’ll close out the day with beverages, snacks, and your opportunity to meet all of the more than 100 exhibitors and sponsors at a networking reception sponsored by Treasure Data. Don’t forget to stop by Treasure Data’s booth (#513) to say “hi” and enter for your chance to win a $500 door prize! After a night on the town in San Francisco, we’ll get you warmed up for another full day of marketing technology insights and experiences with a 7:30am sponsored breakfast and presentation by Amplero. At 9:00am sharp, we’ll then start the morning’s keynote session with Tom Fishburne, the brilliant marketing cartoonist known as Marketoonist. Tom will help reveal the humor and wisdom of these awkward adolescent years of digital marketing. Technology can’t save boring marketing, but it can amplify remarkable marketing. Tom’s talk will frame the right marketing mindset needed to take advantage of the modern digital world — tackling the challenge that the real owner of the brand is now the end consumer. And that everyone in an organization, no matter their job description, works in marketing. Next, Sheldon Monteiro, global CTO of Publicis’s SapientRazorfish, will briefly introduce CMTO University — a global program he created at the company that combines elements of a corporate leadership development program with the rigor, challenge, and learning of an executive MBA. Every year, they select 20 of their best and brightest technologists from around the globe for a year of intense training in business, marketing technology, and influence skills. As part of their final project, each student researches an innovation in marketing technology, develops a unique point of view on its application, and presents their ideas to their peers, company executives and select clients of the firm. In this intense keynote segment, Graduating as a Chief Marketing Technologist, Sheldon will introduce three of the top graduates from the CMTOu program as they each present 5-minute “lightning talk” versions of their research topics. You be the judge: how effectively do they explain their ideas to you? Creating Enterprise Virtual Assistants that Really Engage by Alex Toledo, senior manager of interactive development: Get ready to change how you engage with your customers. Chatbots can delight your customers, but first you must break down barriers within your organization. Maximizing Content’s Impact in an Omni-platform World by Alison Walden, director of experience technology: Having trouble keeping up with content demands in an omni-platform world? Start with structured content first and let MarTech generate the content that you actually need. Unleashing AI on Customer Data by Scott Petry, vice president of technology: Let a machine get to know your customers. Drive business results by sifting and stitching customer data with AI. We’ll the close the keynote with a presentation by Doc Searls, When the Customer Becomes the First Party — a whole new meaning to “first-party data.” Increasingly, customers in all markets have the upper hand, and companies must agree to their terms rather than the other way around. Doc, co-author of The Cluetrain Manifesto and author of The Intention Economy: When Customers Take Charge, will explain how improving customer independence and power can actually improve marketing in the process. Customer experience is marketing. And this track is all about delivering remarkable experiences through the kaleidoscope of digital touchpoints that marketing now manages. Leading analysts, consultants, and brand practitioners will address personalization, frameworks for technology-powered customer experiences, the interplay of psychology and technology, and more in 8 TED-style talks, paired two at a time. First up is Jason Heller, global lead of digital marketing operations at McKinsey & Company, who will present Personalization at Scale: It’s Possible Today. Technology is just part of the solution. Re-imagined processes, new roles and functions, and deploying agile marketing at industrial scale are all part of the successful formula. Jason will discuss the operational realities for marketing organizations to deploy personalization at scale that drives real growth. Paired with him will be Amy Heidersbach, VP of marketing in the digital division of Capital One, who will share her experience Redefining Personalization from Product Inception Through Customer Marketing. She’ll focus on incorporating personas throughout your business strategy to allow for truly relevant products and marketing that will meet your user’s needs and deliver great results for your company. The next block consists of two super-smart analysts charting the evolution of customer experience (CX). 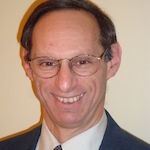 First is Gerry Murray, research manager at IDC Research and a MarTech favorite speaker, who will present CX Appeal: Technology to Keep Your Customers Coming Back for More. He’ll describe a new approach to systems design called Customer Experience Orchestration Services (CX-OS). Based on open APIs and microservices, CX-OS makes it easy for companies to run customer experience as a well-coordinated, cross-departmental process. He’ll be followed by Julie Ask, vice president and principal analyst at Forrester Research, who will give a talk on The Future of Customer Experiences and Emerging Technology: Moving from Silos to Connected Ecosystems. Julie will provide examples of brands moving from siloed app experiences towards blended, connected ecosystems, giving customers a more consistent and reliable way of connecting with them. This interconnected fabric will enable companies to deploy AI-driven solutions that understand user behavior and discern enough to interpret needs and make decisions on their behalf. And then Steve Lok, head of marketing and technology for global acquisition at The Economist, will share his experience Using Data Science to Personalize Experiences Across Channels. As part of its personalization efforts, The Economist chose a customer data platform (CDP) and adopted a hub-and-spoke model for integrating its marketing-technology stack. The Economist builds profiles of their customers by integrating behavioral data (from website visits, email engagement, and more), and then applies data science to the task of determining what messaging resonates with each customer. In the final two TED-style talks in this track, Sheldon Monteiro of SapientRazorfish will return to the stage to discuss Ubernomics: Fault Lines in the Economy of Now — the challenge for martech leaders as transformation agents, who must facilitate a purpose to galvanize the organization for aligned change, and the capabilities needed to absorb and embrace change at the speed of now. Nick Pandolfi of Google will then close the track with a presentation on The Future of Conversational UI. 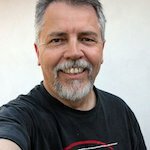 As conversational interfaces become an integral component of every service and product, we need to rethink human-computer interaction paradigms and evolve them to address an unprecedented variety of form factors and input methods. Nick will share how Google approaches the emerging UX challenges in its conversational agent platform, the opportunities in this space, and the future of conversation agents. Of course, the core of martech is operations and technology. This track of 8 TED-style talks, again paried two-at-a-time, will tackle the golden triangle of people, processes, and technology — how to successfully budget, implement, and operate martech capabilities in organizations of all sizes. Daryl Hemeon, marketing technologist at Unum will start with How to Build a Martech Stack That Fits Your Company’s Needs — overcoming the challenges of building an enterprise marketing technology architecture at a Fortune 500 company that’s struggling with shifting customer expectations and pressure to perform. Daryl will share real-world experiences of how to build a martech stack that fits your company’s needs, how to win over the CMO, how to wage (and win!) constant battles for funding, and which experiments to focus on first to build momentum. He’ll be followed by Tom Hannigan, director of global marketing programs at IBM, presenting How IBM Re-Platformed the Core of Its Martech Stack. Launched globally in September 2016, IBM’s internal martech stack operates at massive scale, powering 11,000 campaigns a week supported by 175 campaign developers – driving a two-fold improvement in results across key metrics. This session will give you the inside case study of how it happened — and the applications were only a tiny part of the overall marketing transformation. In the next block, Anita Brearton, CEO of CabinetM and martech industry expert, and Mark Pickett, senior director of customer analytics, data science, and BI at Staples will share Insights from Inside the Marketing Stack. Using data from hundreds of marketing stacks, Anita will describe how marketers tame an increasingly complex technology suite. From analyzing hundreds of stacks, she’ll reveal: common stack structures, popular products and product combinations, hidden product gems, and more. The session concludes with Mark providing a detailed look under the martech hood at Staples. Then Todd McMurtrey, global digital lead at Medtronic, will present on Getting the “Full Stack Advantage”. Todd will describe how the team at Medtronic, the world’s largest medical device company, found ways to leverage vendors and technologies to deliver powerful results across multiple channels. You’ll get insights from three mini case studies from the company’s experience: Social + ABM, Digital + Physical, and Pre-Sale + Post-Sale. In the next double-header, Luque Wang, a senior manager of marketing operations from GE Digital, and Zak Pines, VP marketing at Bedrock Data, will present Integrating Your Sales & Marketing Stack — A 7-step Guide. Luque shares the story of how he planned and built an integrated sales and marketing stack in close alignment with his sales organization. From his seven-step approach, you’ll come away with a roadmap for how to approach aligning and integrating systems across your broader sales and marketing stack too. Identify your owners and stakeholders and distinguish between the two. Assess your systems across lines of business. Budget for a centralized system shared among lines of business. Choose a future-proof approach to integration. Decide what metrics to use to tie your strategy to business outcomes. The final set of TED-style talks in this track will begin with Sean Hiss, director of marketing strategy and operations at Equinix, and James Thomas, CMO of Allocadia, addressing How to Wrangle MarTech Spend in a Large, Rapidly Growing Business (and Survive!). Who doesn’t need to know that? They’ll describe how CMOs can get a firm grasp of where their budget is going at any moment, and visibility into how their spend in technology is impacting revenue and company growth. Artificial intelligence, geolocation-based experiences, virtual reality, augmented reality, chatbots, blockchains — we’ll explore the leading edge of marketing technology and how it’s changing the state of marketing in this track of 8 TED-style presentations, also grouped two-at-a-time. Jeremy Epstein, CEO of Never Stop Marketing, will kick off this track with a simply mind-blowing presentation on Marketing in a Blockchain World. He’ll dive into one of the biggest impending waves of technology-driven innovation – blockchains and decentralized systems – and how they could change the future of marketing. This session will arm with you an understanding of the new paradigm and give you concrete suggestions for what you can do to ready your organization and yourself. Following him, Fabio Matsui, chief technology officer of Wire Stone, will give you A Tour of Virtual Reality and Augmented Reality Applications That Deliver Immersive Customer Experiences. From fully immersive digital experiences to enhanced visions of the real world, these technologies will conjure new landscapes for customers and marketers. This session will help you jump into the deep end of the VR/AR pool. After lunch, Christopher Penn, VP marketing technology at SHIFT Communications and one of the pioneers of the martech movement, will present Cognitive Marketing: How AI Will Change Marketing Forever. He will explain what AI is and how it’s changing marketing today — natural language generation, next-generation marketing analytics, image recognition, and so much more — with 5 present-day use cases. You’ll get insight into how you can prepare your company and your career for an automated future. The next block of back-to-back TED-style talks in this track will focus on advancements in mobile marketing technology. Meghan Ryan, director of digital and social media marketing for the San Francisco 49ers, and Josh Todd, CMO of Localytics, will show you how to Step up Your Mobile Engagement Strategy with Geolocation. They’ll present a case study demonstrating the benefits the San Francisco 49ers experienced by setting up geofences at Levi’s Stadium. You won’t believe what her team did to help their fans take tailgating to the next level! Where are your consumers going? How do they commute? Where do they like to spend their free time? What are the top 3 interests of your target consumers that you didn’t know about? Who are your competitors targeting? Should your brand be targeting them as well? In the final block of talks for this track, Ashu Garg, general partner at Foundation Capital, will share his take on The Rise of Conversational AI – A Marketer’s Guide to Chatbots. Does conversational AI really work, and how pervasive will it be? What are the potential use cases? And what will the impact on martech be? 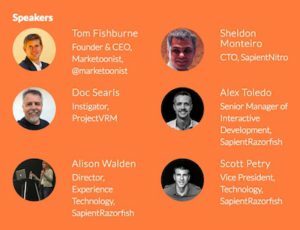 A conference-within-a-conference focused on the human dynamics necessary for martech to succeed, there’s a full track of agile marketing education with panels and presentations by leaders of the agile marketing movement and case studies from top brands. After lunch, marketing technologist extraordinaire Rohit Prabhakar, the head of digital marketing and technology at McKesson, will present on Putting the Right Conditions in Place for Martech Success. To ensure that martech implementations are successful, champions must focus on stakeholder engagement and change management. Rohit will share several case studies that will help you define your own conditions for martech success. In the next block of two TED-style talks, Roland Smart, VP marketing at Oracle and author of The Agile Marketer, will start with The State of Agile Marketing. Roland will cover the key themes that have emerged as a backdrop for an understanding of the current state of agile marketing practice, and look at how our profession is advancing along the agile adoption curve. Andrea Fryrear, chief content officer of The Agile Marketer, will dig deeper into one particular agile approach with Exploring Scrumban: Why Combining Methodologies May be the Agile Marketing Magic Bullet. She’ll tackle Scrumban basics and walk you through creating your first Scrumban iteration. You’ll learn how the core components of Scrumban meet marketers’ need for flexibility, while still providing the structure we need to maintain our sanity. In the final block — the best for last — Kate Chalmers, director of marketing operations at Hootsuite, and Andrew Filev, CEO of Wrike, will present Adventures in Agile: How Hootsuite Broke Down Silos to Make Innovative Campaigns. They’ll examine how Hootsuite managed a massive volume of projects, in a group that grew from 40 people to a 100, spanning four countries, by using agile tactics such as scrums, iterative testing, and retrospectives. You’ll learn how they created faster response loops enabled disparate teams to work on cross-functional projects. In addition, Acxiom and Segment will each be doing sponsored lunch presentations as well. You can find complete session descriptions on the agenda. What you’ve just read is only high-level overview. We’re committed to making this the one conference anyone working with marketing technology won’t want to miss. So, remember: our low beta rates expire on April 1. Register before that deadline to save $250 off an All Access Pass. Because space is strictly limited, once this event sells out, it’s truly sold out. No false scarcity about it. Come join us, May 9-11 in San Francisco — I guarantee it will be an amazing two days that will put you ahead of the curve on marketing technology leadership.